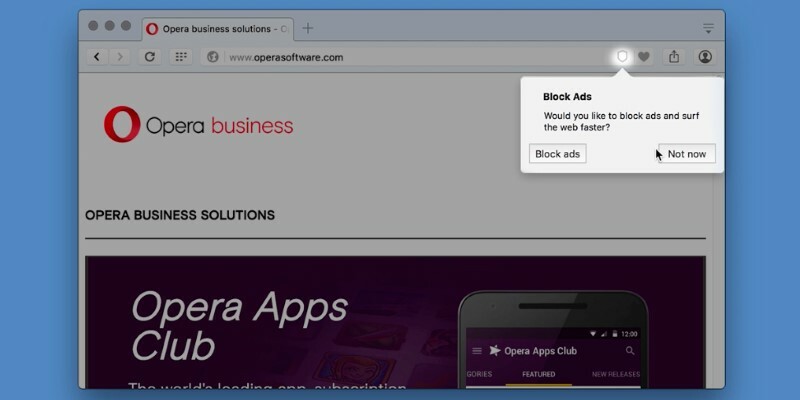 Opera, the pioneering Web browser developer, is introducing a new version of its desktop computer browser that incorporates ad-blocking features directly into the browser, promising faster page-loading times. Faster loading Web pages, increased privacy and security and a less intrusive web browsing experience are behind the growing demand for ad-blockers. However, their growing popularity is cutting into the growth of online advertising sales. “Ad-blocking technology is an opportunity and a wake-up call to the advertising industry to pay attention to what consumers are actually saying,” an Opera spokeswoman said. Opera has a history of introducing innovations that later become common in major browsers such as tabbed browsing and pop-up blocking, which helped users control an earlier generation of in-your-face ads and malware disguised as advertising. The Norwegian company introduced its first computer web browser in 1995. With the rise of the smartphone, it shifted to focus on the mobile browser and advertising market, where it now derives the lion’s share of its revenue. Opera said on Thursday it was introducing a version of its browser aimed at software developers and early adopters, but will eventually offer the feature in future browsers for both computers and phones. The Oslo-based firm ranks a distant fifth behind more mainstream desktop computers browsers fromMicrosoft, Google, Firefox and Apple. The company counts 60 million active monthly desktop users worldwide. The spokeswoman said Opera saw no contradiction in the fact it relies on advertising for a big chunk of its revenue while introducing ad-blocking control features in its products. Demand for ad-blocking would abate when less disruptive and more relevant and engaging advertising becomes the norm.